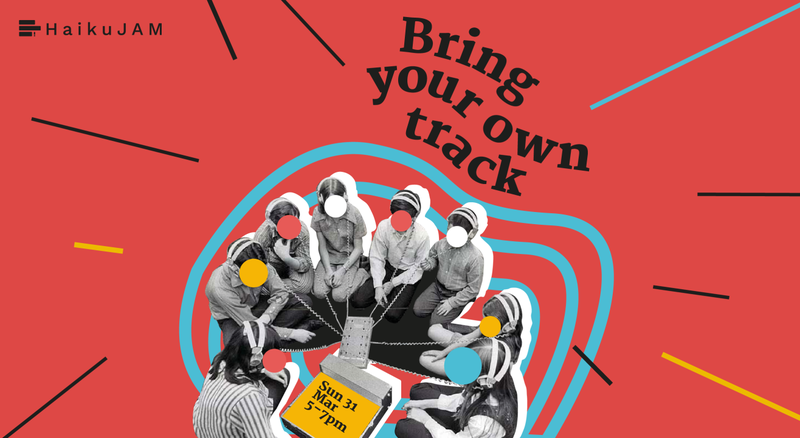 The third edition of "Bring Your Own Track" is here! Join our collaborative listening party and get to play a song that means something to you. Think of a track that you love. Tell its story in 1 minute and play it for everyone. Then, close your eyes and listen to the songs others brought with them. Just feel the music and save your words for a quick game of HaikuJAM, where you'll learn how to capture your experience in a collaborative haiku poem with others in the room. Download the HaikuJAM app for free on Android and iOS to try your hand at haiku! HaikuJAM is a collaborative writing game for creative expression, meaningful connection and stress-relief. The app is used in over 100 languages, and has been profiled in Vice, Forbes, The New York Times, BBC, The Guardian, The Huffington Post, amongst others. Alongside the app, HaikuJAM runs interactive events around the world with audiences as large as 3000 people.